In an unprecedented move the Indianapolis Motor Speedway has announced PennGrade Motor Oil as the presenting sponsor for the 100th Indianapolis 500. The deal is believed to be for 3 years worth about $5 million. 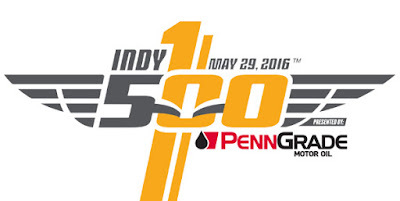 "We're thrilled that PennGrade Motor Oil is joining us, not only for the 100th Running of the Indianapolis 500 but for more Indy 500s going forward," Indianapolis Motor Speedway president Doug Boles said. "My grandmother worked for D-A Lubricant so I'm well-versed in the company's history and I know our fans will appreciate the Hoosier connection as well." PennGrade Motor Oil's parent company D-A Lubricant Company sponsored '500' cars from 1955 to 1958. In addition, they're currently a sponsor of Graham Rahal's RLLR entry.